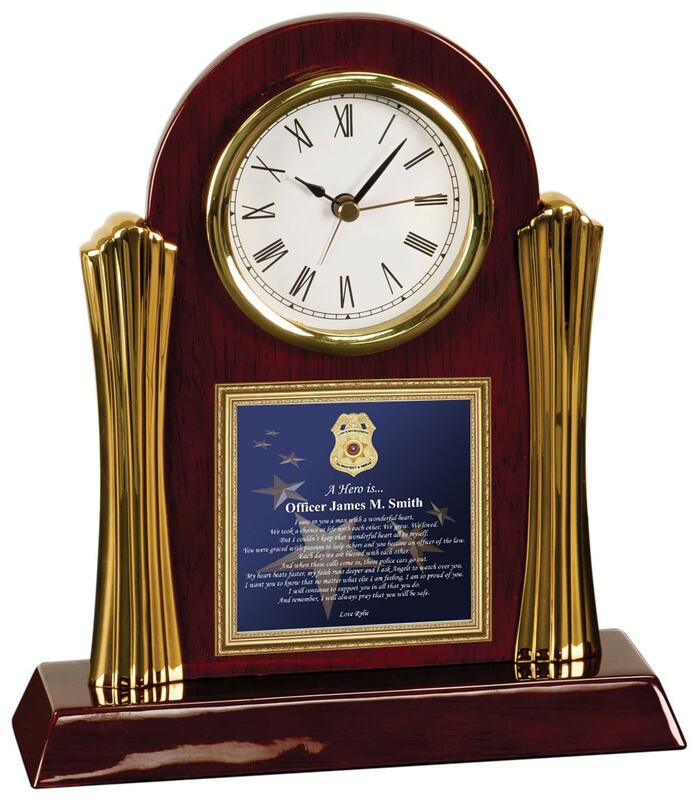 Celebrate your police officer or sheriff with our personalized poetry desk clock. The personalized desk clock is masterfully crafted out of rich cherry wood with gold columns. Elegant Roman numerals, a second hand, and deluxe quartz movement complete its display. 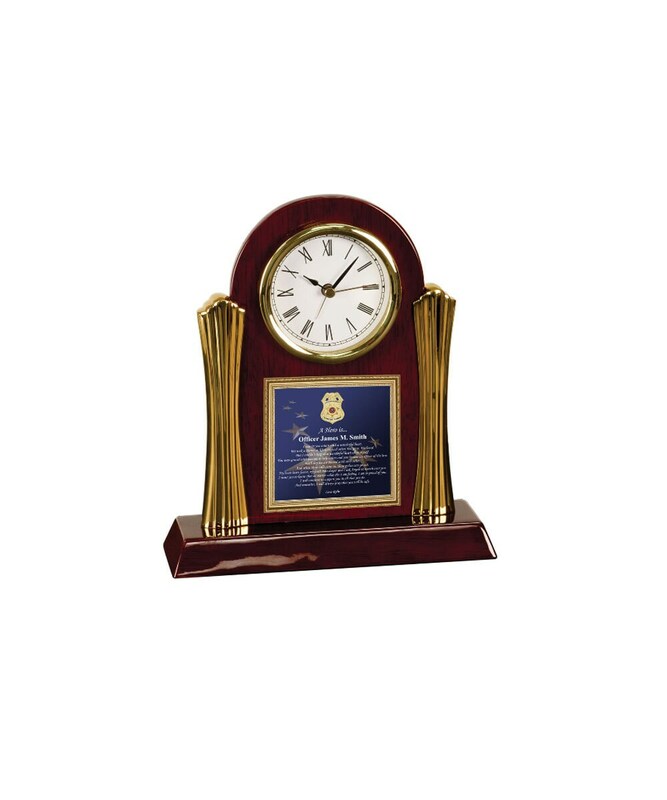 A handsome law enforcement gift desk clock decor for any setting. 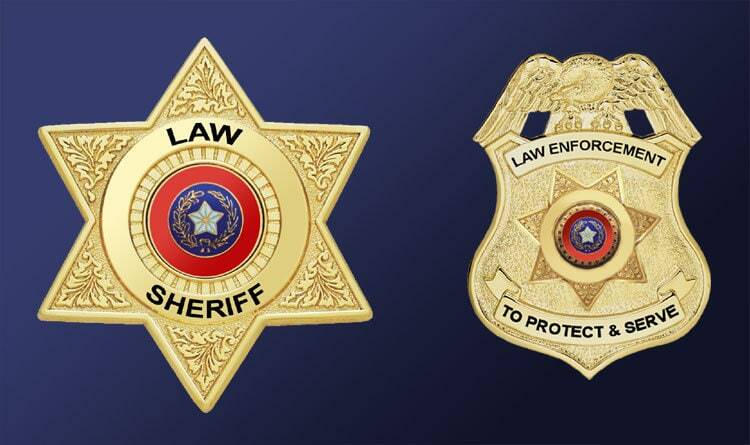 Whether an anniversary or birthday, this personalized law enforcement poetry clock gives a feeling of nostalgia and elegance to the police officer or sheriff. This law enforcement poem imprinted on the body of the clock compliments the traditions use of contemporary designs. This poetry clock beautifully highlights the meaningful poem message that have sentimental value to the sheriff or police officer. By fusing an anniversary poem into a table desk clock with a touch of personalization, the end result is a really nice distinctive and unique law enforcement gift. Inspired by the loving words of our creative poets, these poetry police and sheriff gifts are an exclusive to Framing Achievement, Inc. creation. Our poem clocks, plaques and picture frames are customized with your name and embedded in the composition of the poetry gifts. Let our personalized law enforcement gifts of poetry products imagination wander and explore the possibilities that you can create with a custom sentimental meaningful message in our elegant picture frames and clock gifts. 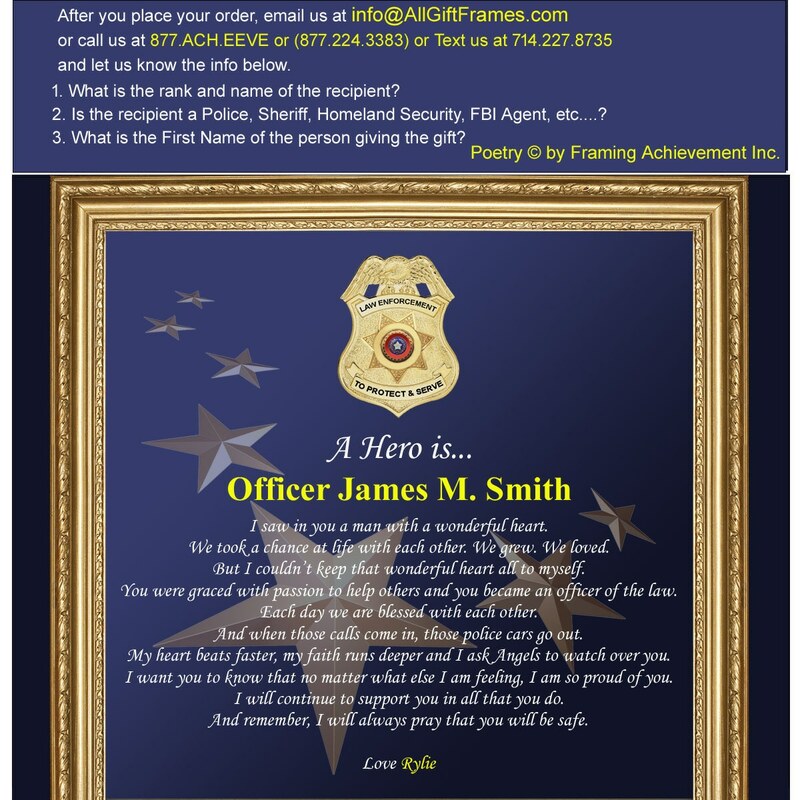 Rating high on style and elegance, Framing Achievement's personalized poem gifts are the first choice in premium poetry presents for Anniversary, Birthdays, Weddings, Law Enforcement Retirement, Graduation and many more occasions.